Who is Creapure® Suitable for? Creapure® is recommended for athletes who are involved in high-intensity exercise that requires explosive movements such as bodybuilders, powerlifters and sprinters. 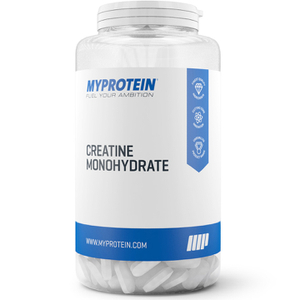 This creatine is suitable for all wanting to increase their creatine daily intake effectively. This product can be taken 1-2 times per day, specifically pre and/or post workout. Creapure® (Creatine Monohydrate), Flavouring, Citric Acid, colorings (Beetroot Red & Anthocyanin), Sweetener (Sucralose®). Creapure® (Creatine Monohydrate), Flavouring, Citric Acid, color (Carotene), Sweetener (Sucralose®). I only get Creapure and at this price it was a great deal. Unflavored, no fillers, and it works. I just mix in water 30 min before workouts. I will buy again. Amazing creative, highest quality of creative monohydrate you can find! Amazing creative, highest quality of creative monohydrate you can find! 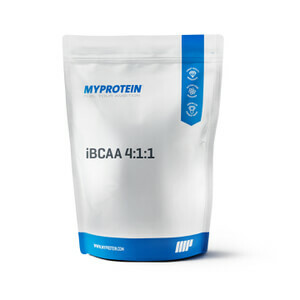 Easy to mix in, I love the none flavoured since in I can literally mix it with anything I want, BCAAs, protein or even oatmeals. I just hope the spoon arm can be a bit longer though! Creatine has been a staple in my supplementation regimen for 20 years. Start everyday with 5 grams. It’s good to know I can purchase a high quality product like Creapure. Your morning cocktail...electrolytes, sodium, taurine, etc. Use three times a day. In the morning with my coffee. Lunch with protein shake. After my work out in an another protein shake. 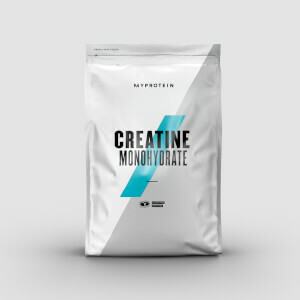 I have been taking Creatine from another top quality supplier for a long time now, so I cannot say that this particular Creatine supplement increased my strength because I haven't stopped taking Creatine, but I can say nothing has changed, which obviously means it's at least equivalent in effectiveness to that of my previous Creatine supplier, which is good. It mixes fine, does not clump at all, and has a very mild taste, as you would expect of high quality Creatine. 5/5. Ordered the Blue Raspberry expecting a subtle flavour from the small scoop per serving - WAY WRONG! This stuff is packed with flavour and dye, way too much - like 5x too much flavour and enough blue dye to make 1L water florescent blue. Hard to choke down as you have to brace yourself! Should have stuck with unflavoured. My bad. Otherwise - this is creapure and the best mixibility wise, and (I have to assume) will prove effective as usual. Mixes well, no taste, and causes less bloating than some other monos I have tried.